Since our law offices were founded in 1992, our attorneys at Knepper & Stratton have provided legal services to clients in Wilmington and throughout Delaware. We focus our practice on personal injury, advocating on behalf of people injured by the negligence or recklessness of others. 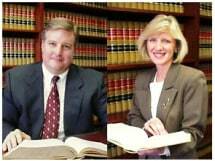 With additional offices in Newark and Dover, our legal team has obtained favorable verdicts and settlements on behalf of clients in cases involving the following: car accidents, truck accidents, motorcycle accidents, drunk driving accidents, premises liability, slip and falls, and wrongful death. We also accept employment law cases. After suffering injury in a motor vehicle accident, you may be concerned about who will pay for your medical expenses and how you will provide for your family while you are out of work recovering. We offer free initial consultations for personal injury cases, and we keep our fees reasonable. We develop a strategy aimed at helping you receive compensation for the costs of your medical care, your lost wages, your pain and suffering, and other associated damages. Our law offices’ team consults with accident reconstruction experts, interviews witnesses and conducts research to help prove negligence on the part of the at-fault driver. Although prohibited by law, discrimination, sexual harassment and retaliation sometimes occur in the workplace. At the law offices of Knepper & Stratton, we know that if your employee rights are violated, your ability to work and support yourself may be affected. We evaluate your case and explain your options given your unique circumstances. We have assisted clients with a range of matters before state and federal courts, helping them to obtain compensation or to be reinstated to their former positions.